Cresyl violet acetate, certified | Polysciences, Inc.
Photo: Cresyl violet staining is commonly used in histology to stain nervous tissues. 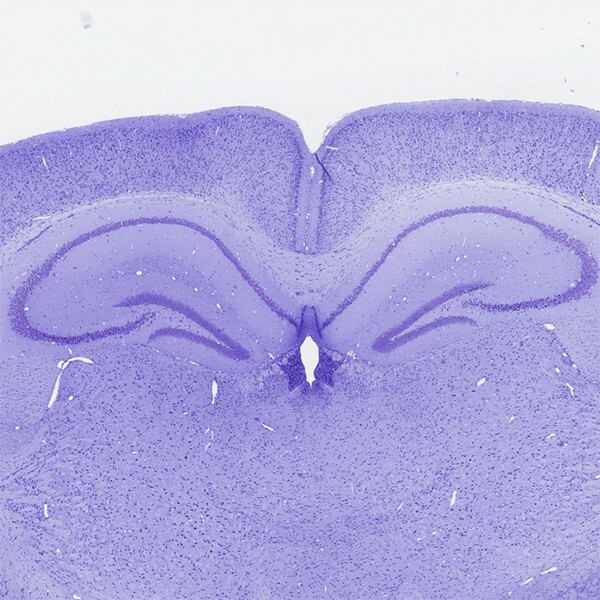 Mouse Brain Cresyl Violet staining; Source: Own work of Author Mumssygris. Wikimedia Commons (5 February 2015). Cresyl Violet Acetate is a certified solid dye used for the preparation of a staining solution to demonstrate the presence of Nissl substances in neurons and cell nuclei. It is also often used as a counterstain to Luxol Fast Blue.